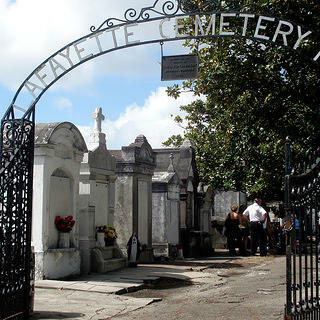 In April 2008, American Express and the National Trust for Historic Preservation announced that nine New Orleans historic sites had been selected to participate in the New Orleans Partners in Preservation program as part of American Express’ $400,000 commitment to preservation efforts in New Orleans. The American Express Partners in Preservation program in New Orleans was created to help preserve historic sites that reflect the city’s rich cultural history, driving tourism and stimulating economic development. Additionally, American Express and the National Trust for Historic Preservation developed the slate of nine sites in an effort to raise awareness of some of the region’s most important, but often not widely recognized “hidden gems. American Express and the National Trust for Historic Preservation used specific criteria to select five grant recipients including their historic, architectural and cultural significance, demonstrated community support for the sites, role as community gathering spaces, damage from Hurricane Katrina, and the ability to complete a preservation project within one year. The grant monies designated for each of the five sites were based on the specific needs and projects at the chosen sites. Designated a burial site in 1833, Lafayette Cemetery No. 1 in New Orleans’ Garden District is an active cemetery, tourist attraction, neighborhood recreation center and community gathering place. Truly an outdoor museum of 19th and 20th century funerary architecture, the cemetery’s walls and vaults had badly deteriorated, posing long-term threats to the site’s structural stability. The Partners in Preservation grant allowed Save Our Cemeteries, a non-profit group, to complete the third phase of restoration at the cemetery.